As our Partner, you will have access to new markets opportunities, generous commissions, and all the support you need to be successful. SOCIFI is a Cloud-based & On-premise Solution that helps improve Public Safety and Network Security on Wi-Fi Networks. SOCIFI provides Analytical Data, Advertising & Monetization Tools to help you enter a new market. 3G/LTE Solution for Alternative Monetization and Customer Engagement is the next big thing. You know best how Digital Advertising works. We help you create a new media channel for your clients to achieve the best conversions. When your equipment is fully certified and compatible, you have USP for your customers. We help you sell more equipment through our Partners and Solution. Deploying and managing your infrastructure costs a lot of money. We can help you and your customers cut down on these costs. Learn how much revenue you could gain by using SOCIFI for your business. Enter estimated numbers below to calculate your estimated revenue. Disclaimer: Forward-looking statements are based on the reasonable assumptions, estimates and analysis of management made in light of its experience, as well as other factors that management believes to be relevant and reasonable in the circumstances at the date that such statements are made, but which may prove to be incorrect. 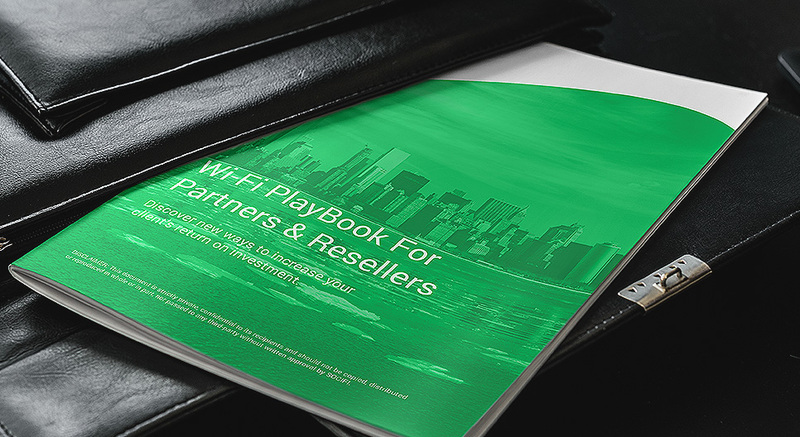 a Playbook for LTE and WiFi to help make you and your customers more successful. Video Tutorials and Webinars so you can watch them whenever you like. Marketing Materials to help you reach customers. Regular calls and meetings to make sure you are always up to date. Our SOCIFI Playbook illustrates best practices, business models and recommended approach to help you in every scenario. Keep track of your Business Partners and Clients under the Partner Dashboard. 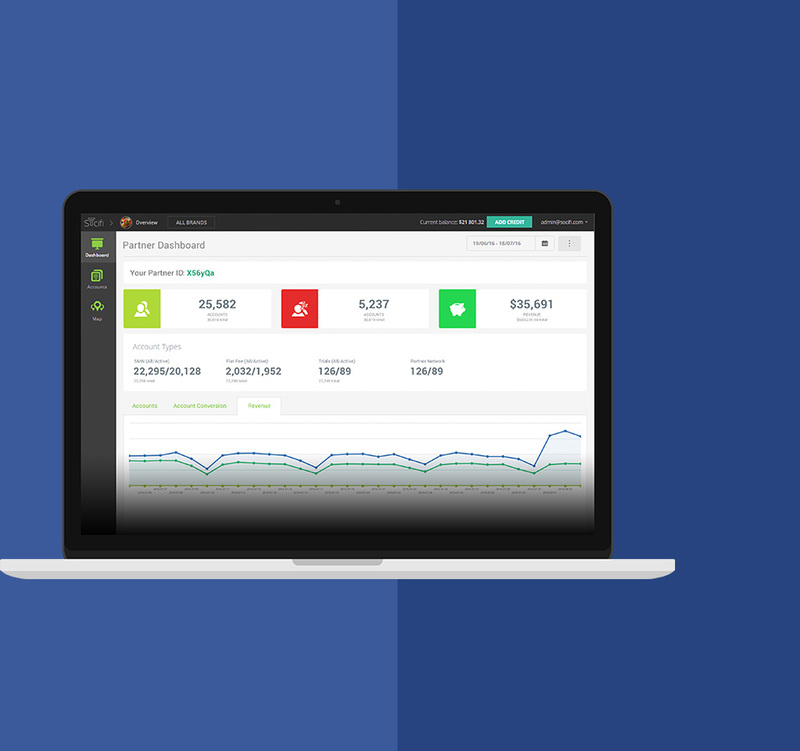 Partner Dashboard provides you with a deep analysis of all your clients to help you measure their performance. Use these analysis to help them achieve even greater results. Advanced Partner's and Client's Overview with an interactive map of their hotspots helps you identify which markets work best and where your attention is needed. SOCIFI Certification Process & Trainings help you accelerate your business potential and provide you with a unique sales opportunity. 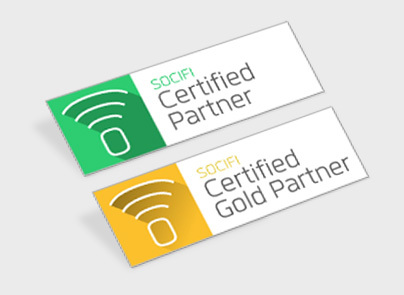 When you are Certified it shows your customers that you have advanced knowledge on how SOCIFI works and they are dealing with a professional. Our webinars and training covers everything you need to know to become a market leader in monetization. SOCIFI believes in a win-win model. You can register your opportunities and SOCIFI will help you to convert those opportunities into Customers and Partners.